Dr. Claus Solberg was a distinguished Fogarty International Postdoctoral Research Fellow at the University of Minnesota School of Public Health and Medical School from 1969 to 1970. He has subsequently been a mentor for University of Minnesota medical students who take a clinical elective at Bergen University in Norway. Dr. Solberg is currently professor emeritus at the Department of Medicine, Bergen University Hospital. 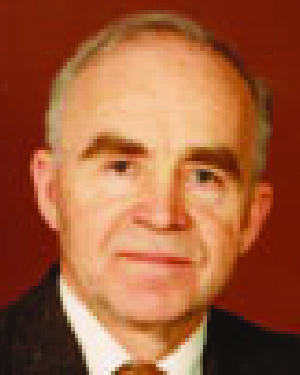 He chaired the department from 1987 until his retirement in 2001. In 2001, he was named as Knight, First Order, for the Royal Norwegian St. Olav's Order, the highest honor for scientific achievement in Norway. He was also the recipient of the award for "Excellence in Clinical Microbiology and Infectious Diseases" in 2000 from the European Society of Clinical Microbiology and Infectious Diseases. On his return to Norway in 1970, Dr. Solberg became associate professor of Medicine and Infectious Diseases. His laboratory became a leader in the study of host defenses in patients with serious infectious diseases. Dr. Solberg has published more than 250 original articles, books, and review articles in his field, and many of his Ph.D. students are now professors of medicine in Norway and abroad. His own research and clinical work has led to many lectures at international meetings and congresses. Dr. Solberg has been an active member of the International Immunocompromised Host Society, which recently met in Bergen under his direction. He also serves on the editorial boards of the Scandinavian Journal of Infectious Disease, the Journal of Infectious Disease of America, and the European Journal of Clinical Microbiology and Infectious Diseases. In naming Dr. Solberg as a winner of the Distinguished Leadership Award for Internationals, the selection committee cited Dr. Solberg's outstanding life-long contribution to the field of infectious diseases both as a researcher and clinician. His influence in the field has been widely recognized both in Norway and internationally.